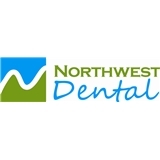 Northwest Dental (Federal Way) - Book Appointment Online! Welcome to Northwest Dental. We take great satisfaction in helping you maintain optimal oral health. Our practice is devoted to comprehensive and preventive patient care in the Federal Way area. Throughout our website, you will find an abundance of information about our practice the and dental services we provide. Northwest Dental is the place you will find answers for any dental concerns you may have. Dr. Yako Liu also makes sure every patient fully understands all of the treatment options before you choose the dental service you want. Our patients are the most important asset of Northwest Dental. Dr. Yako Liu and his staff strive to develop long-lasting, trusting relationships with all of our patients. Your referrals are welcome and appreciated. We look forward to seeing you! Very professional staff that tended to my emergency issue with care.